The Flower Bulb region on Saturday like other years redrawn around a million spectators. “At the start of Noordwijk was quieter than usual because of the cold start, but in other places it was just as busy if not busier than previous years ,” said parade director Leo van der Zon . The procession departed Saturday from Noordwijk . Along the way the floats include Voorhout , Sassenheim , Lisse, Hillegom and Bennebroek went on . The route went along the Keukenhof. Due to the large influx roads were around the bulb Saturday afternoon severely clogged nqyfz6d. With a slight delay due to the crowds the parade got underway around 21:30 on the Haarlem endpoint. The approximately twenty floats and more than thirty other vehicles were decorated with bulb flowers like hyacinths, tulips and daffodils ways to lose weight fast. 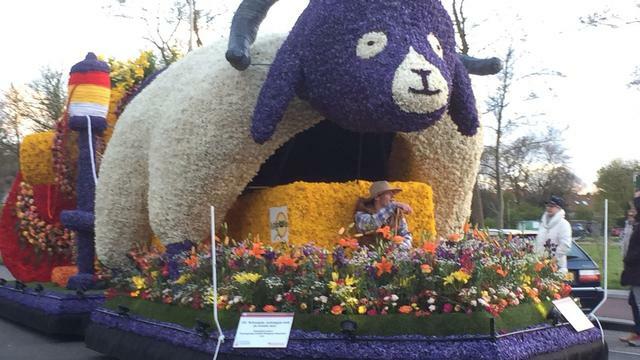 The theme this year Flowers & Fashion.The floats are sun can be admired throughout the day . They are then arranged on the Gedempte Oudegracht and Nassau in Haarlem . There are many activities around it, such as fashion design , ‘ live ‘ images and performances by artists . This entry was posted on April 25, 2016.